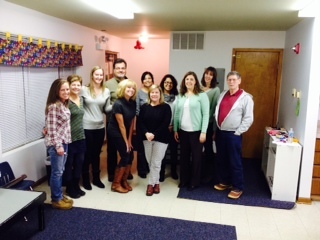 Thank you to Ellen and the Glendale Heights LRC volunteers–you are truly making a difference! For the past year and a half, Bridge volunteer Ellen Herman has helped coordinate children’s activities at the Glendale Heights Learning Resource Center (LRC)—and she couldn’t love it more. She found out about Bridge after raising her three kids, when she found herself with more time and wanted to get involved in the community.